ISAF 2013 was visited by about 20.000 visitors from 50 different countries and our Stand proved to be a pole of attraction! FirePro Systems participated for the first time in the ISAF Fire held at Istanbul Expo Center (IFM). An exhibition specialized in safety and security in a country considered to be "the China of Europe" in terms of growth and potential. ISAF 2013 was visited by about 20.000 visitors from 50 different countries. 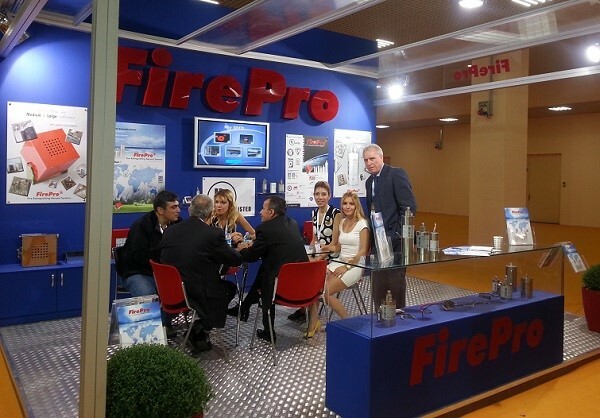 The FirePro stand, as we have come to expect, attracted a very large number of visitors. Many thanks to all those who visited us and we look forward to doing business with you.